Sajjan Niwas garden or the Gulab Bagh with an area of 100 acres is perhaps the biggest and best garden in India. Apart from the trees, flowerbeds and a zoo, the garden also has a museum to boast of. The museum, originally known as Victoria Hall Museum, was well known for its collection of antiques and curios. It has now been shifted to Karan Vilas Mahal within the City Palace complex. There is also a public library attached to the garden, which has large volumes and illustrated manuscripts on Indology, Archaeology, and History. The museum, the library and a reading room are all located inside the Victoria Hall. In the month of Shravan (Jul/Aug) a fair is held here on every Monday. 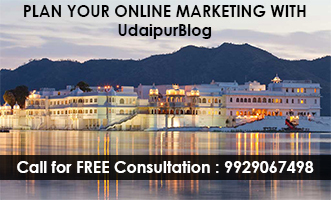 It’s the most frequently visited and famous garden of Udaipur. Local multitude often comes here for an evening walk as it provides the best atmosphere for health advantage. During the dawn we often find people doing yoga and various exercises. This largest garden of Udaipur is the best place to see the combination of natural beauty spread all over. Nice blog on Gulab Bagh Garden but expecting some pictures of it, didn’t find any. Your blog still looks perfect..